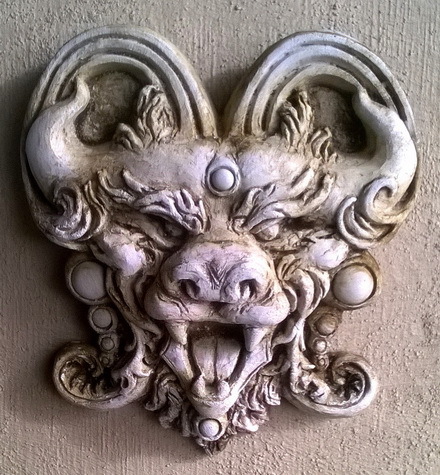 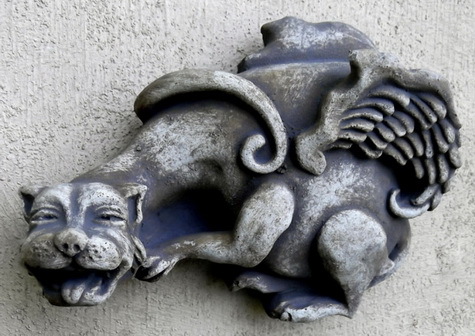 Gargoyles & Grotesques – "Fine sculpture for every environment"
From the 13-15th century ce. 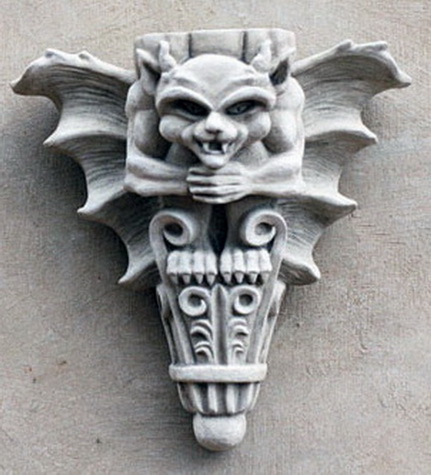 Europe saw the birth of a new artistic/architectural style… it was called gothic. 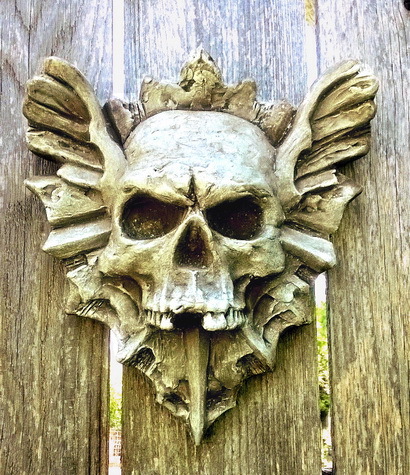 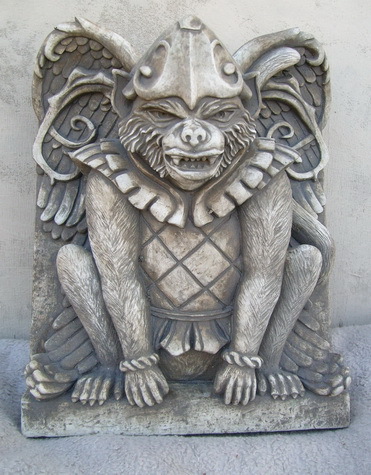 Gargoyles and grotesques became popular images in the churches. 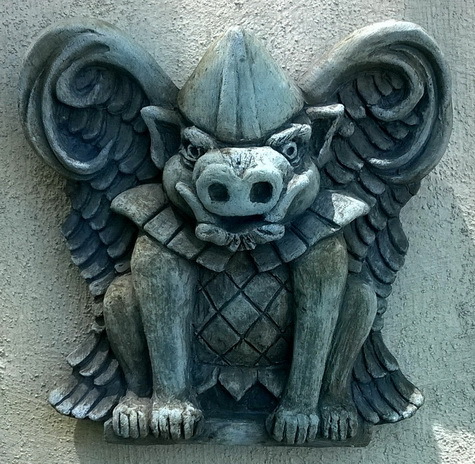 The theory was that demons would see these images and assume that the devil was already present there and they should pass on by. 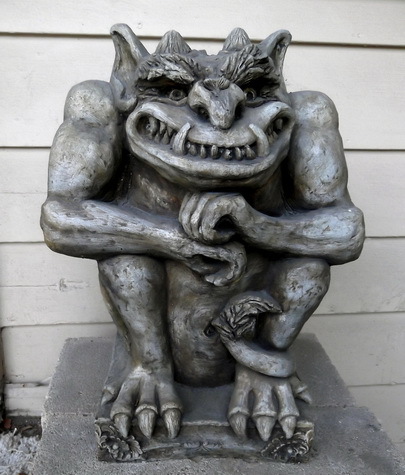 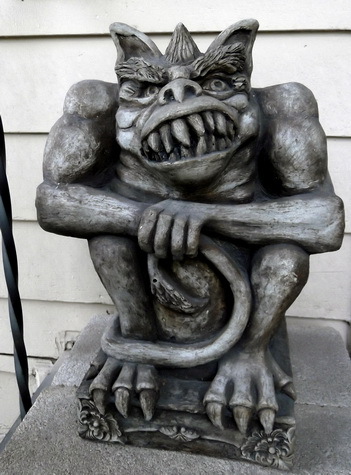 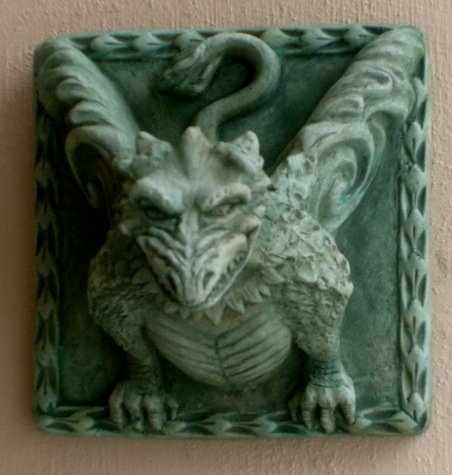 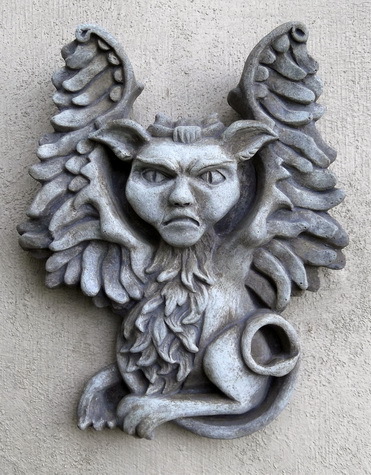 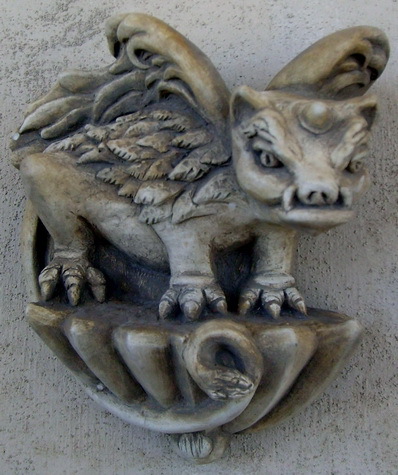 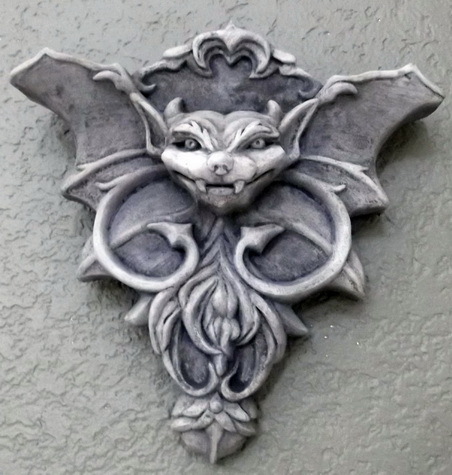 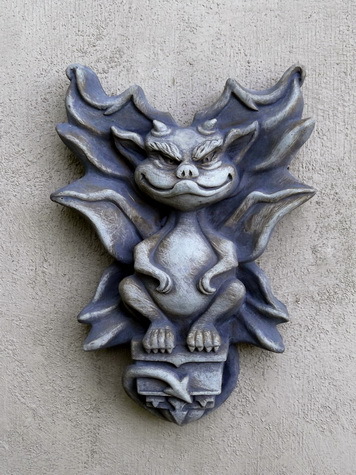 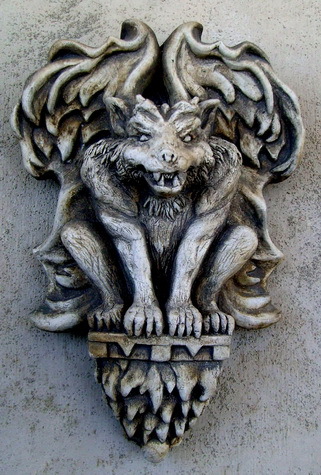 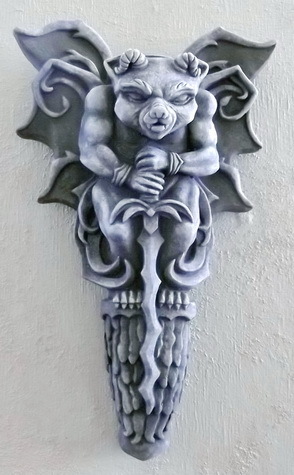 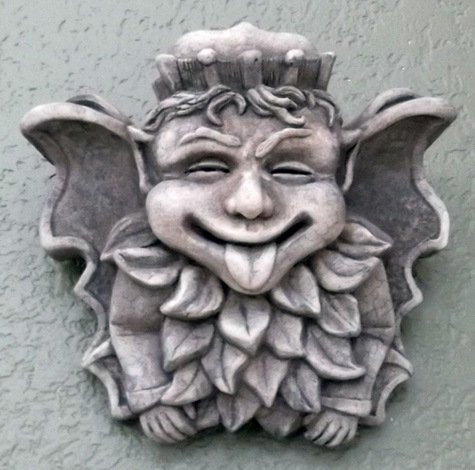 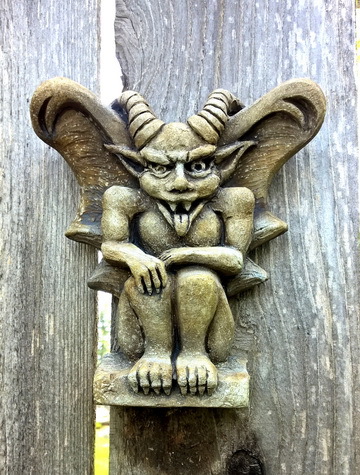 Originally gargoyles (from the French garguille – meaning rain spout) were used as gutter drains, but eventually all winged beasts and demons came to be called gargoyles.